and keep them focused on what you're saying. So everything needs an image. Everything. That's why facebook posts with images get shared and blogs with great images get pinned. Try to make every post have a graphic. If you don't have one, create one with PicMonkey.com. It's quick and easy once you get the hang of it. 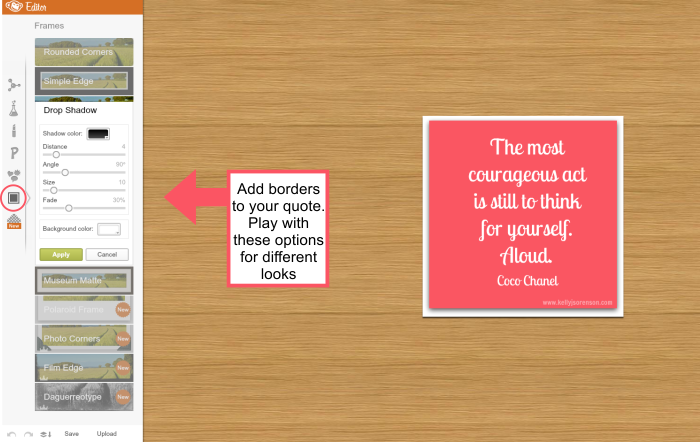 First I'll show you how to create a 400x400 blank for quotes if you don't have an image. 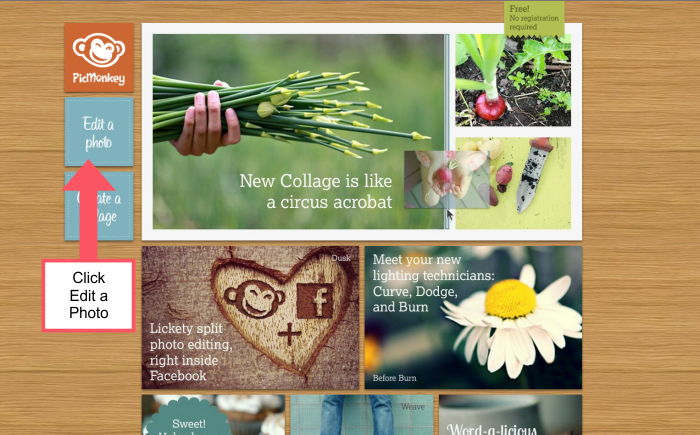 On the left side, click to choose a collage layout. 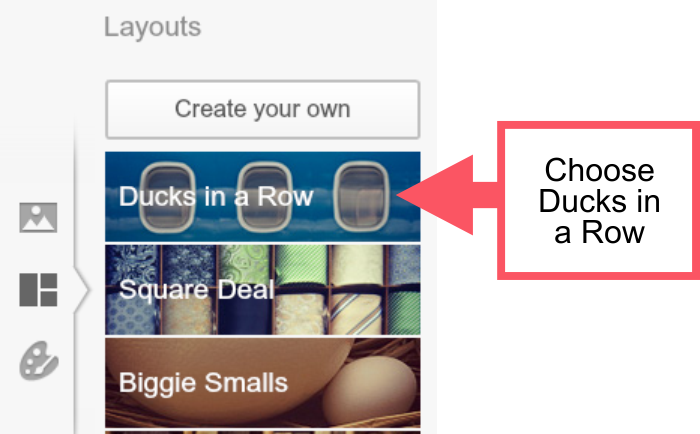 Choose a two cell layout from the Ducks in a Row tab. Delete one of the cells. 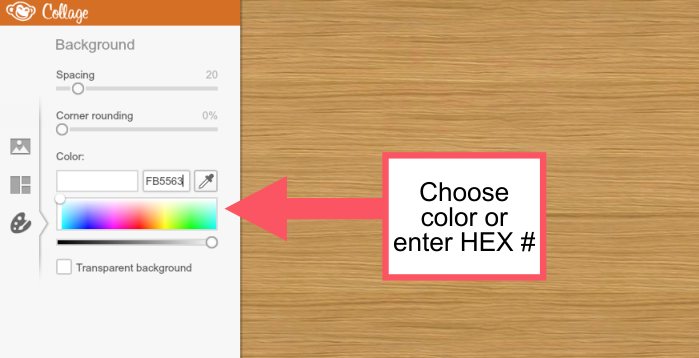 On the left side, click the painters palette icon to edit the background color. Name your file and choose either JPG or PNG. Then choose the quality of the image. I chose the highest quality. Hit Save when you're done! Now you have a background to create images with. 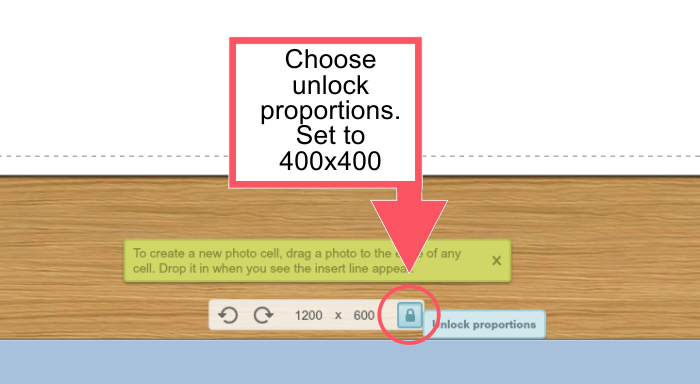 The 400x400 size is nice for blog posts and will fit on your facebook page without being cut off. Let's add some text! Choose the P icon on the left to add text to your graphic. You can change the color, font, and size. 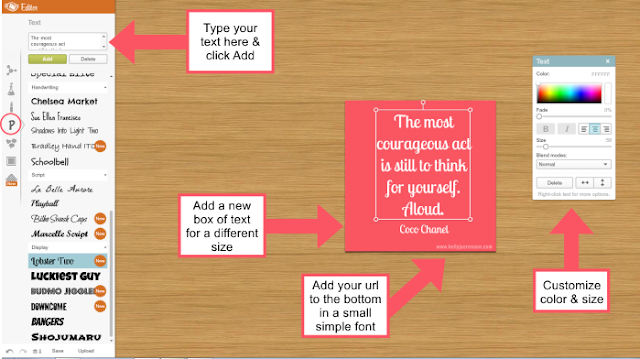 Add a second area of text if you want to add in a different font or different sized text. Make sure you add your url to the very bottom so people will know where the image came from. For mine, I made the color a bit transparent so it blended with the background a bit. 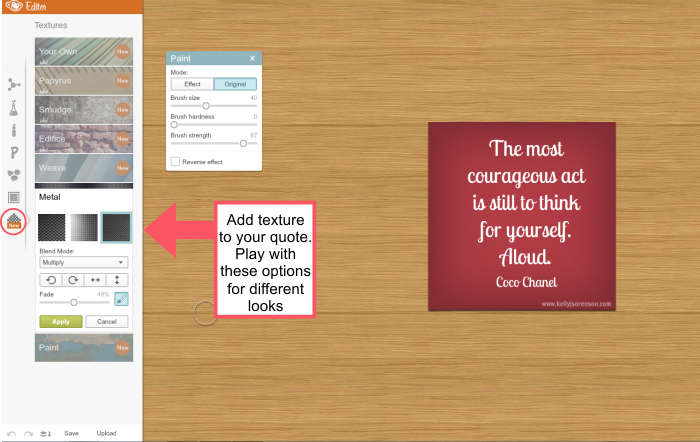 You can also add texture to your background. Have fun playing with the settings and be creative. You can make so many different styles of graphics by changing things up. You can also add shapes to your image and make it any size. 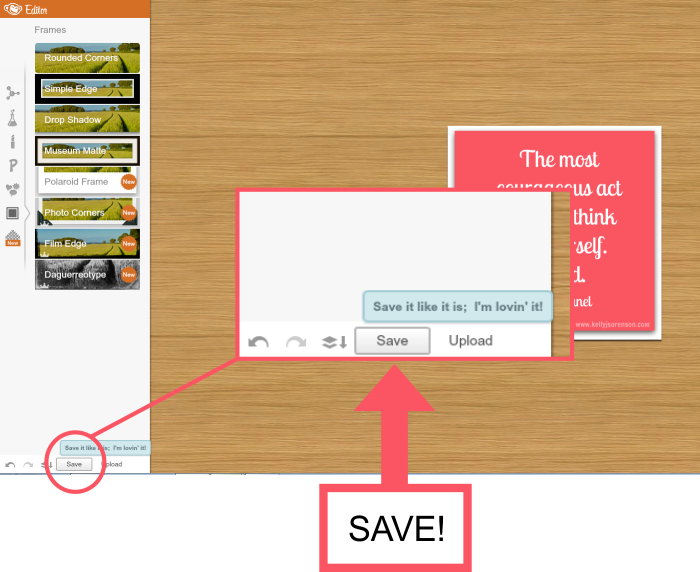 Add borders or add an image before you add your text and then add your text on top of it. Add a drop shadow like in the image I created above, or colored borders, photo corners, film edging or even make your image into a circle. Have fun playing with these! Save the image to your computer. Choose a different name for it so you will be able to use your background over and over again. 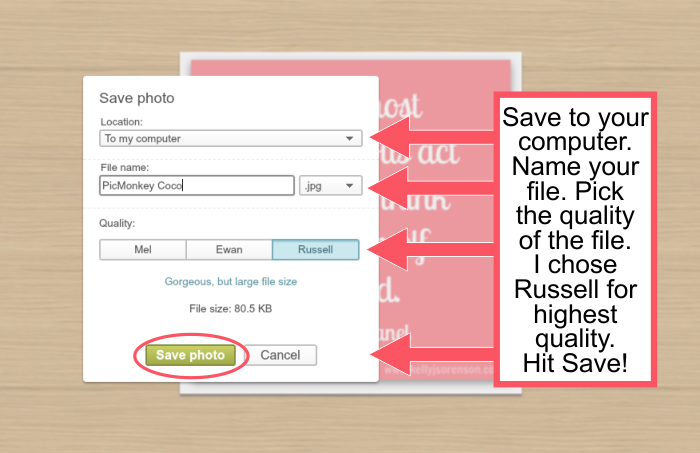 You can save the image as either a JPG or PNG file. 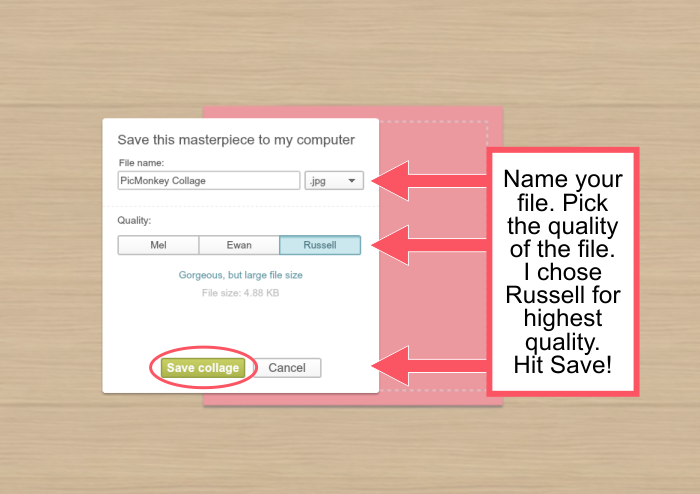 If you choose JPG, choose the quality and then hit save! 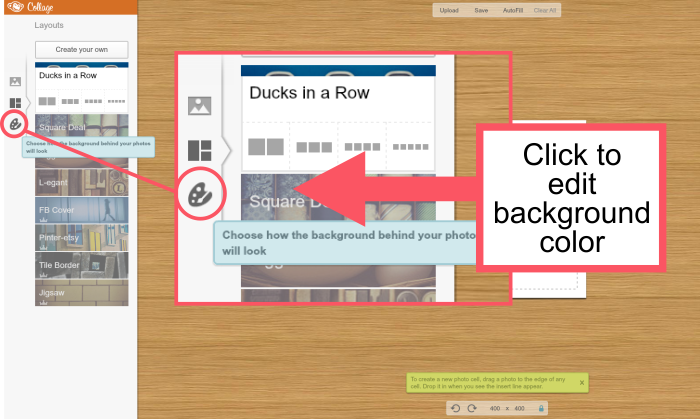 Now you're ready to upload your image in your blog, facebook or google+. Let me know if you have ANY questions! Now go play with PicMonkey! AWESOME! Love this! Thanks for sharing! 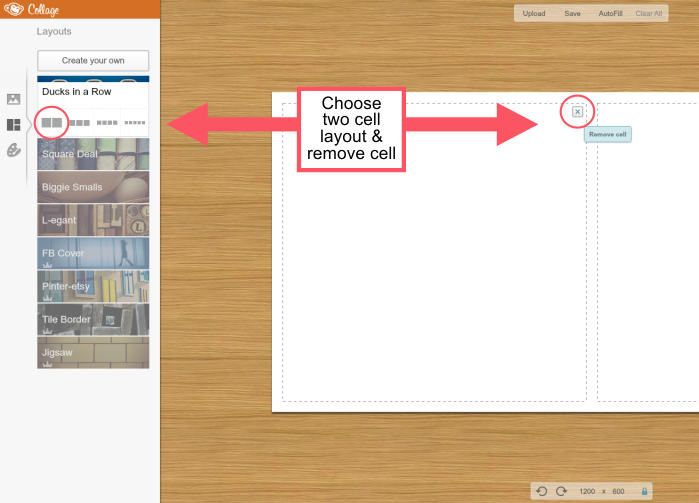 With the collage option, you can really make any size graphic you want by adjusting the size. I think this is awesome for businesses just starting out and on a tight budget. 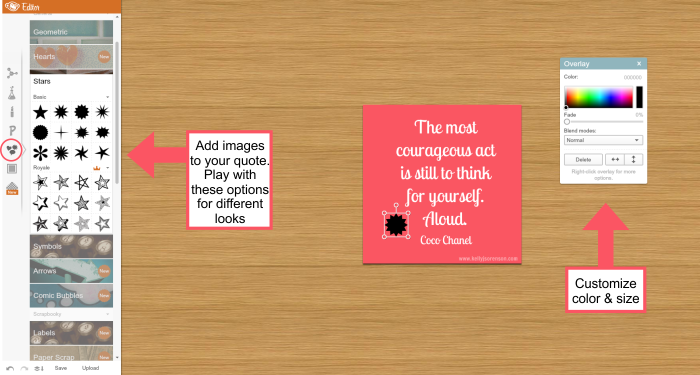 I'll be doing more PicMonkey tutorials in the future with some design pointers. 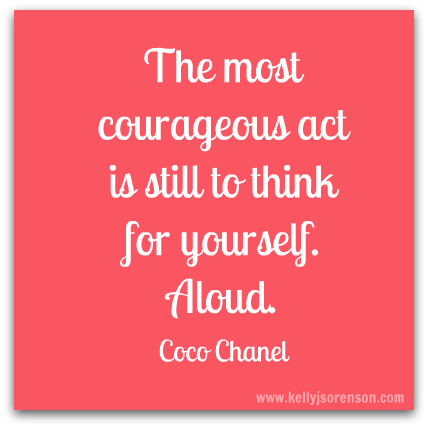 I'm glad you ladies liked the post :)Don't forget to let me know if you make a graphic so I can share it! Beverly, in the text box where you typed your text, you have to hit enter when you want a break in your text. If that isn't working, and I had someone else mention that it wasn't working for them, then you might have to create a separate text box for each line of text that you want. however this post is truly a fastidious piece of writing, keep it up. Thanks for this info. I was able to make a Nautical sale sign for my store's fall sale to post on my store facebook page...:) https://www.facebook.com/SeasideDecorBoutique. I've bookmarked your site already, very usefull info, i've also made my logo using this step-by-step guide, thanks for the great tutorial. 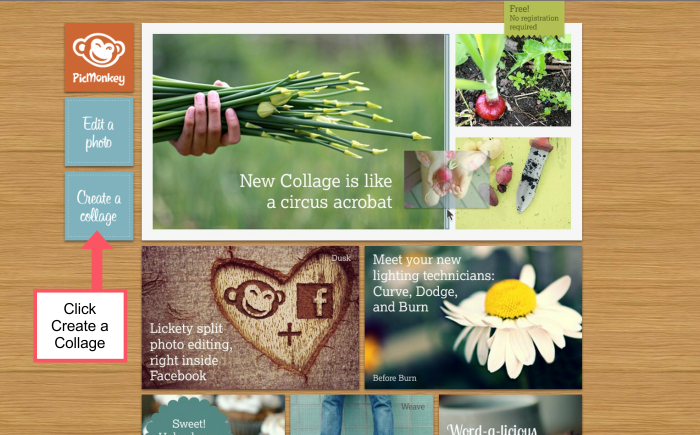 Great post - I just discovered the collages function on PicMonkey the other day and love it. They include a template for FB cover images, too!